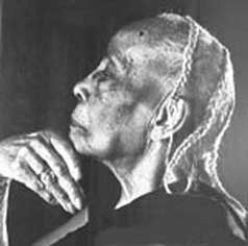 December 15, 1987 Septima Poinsette Clark, “grandmother of the Civil Rights Movement,” died. Clark was born May 3, 1898 in Charleston, South Carolina. She graduated from high school in 1916, but could not afford to attend college. As an African American, she was barred from teaching in the Charleston public schools therefore she began teaching on John’s Island. Clark’s school had 132 students and one other teacher. In 1919, she returned to Charleston to teach at Avery Normal Institute, a private academy for black children, and she became active with the NAACP. From 1929 to 1947, Clark taught in the Columbia, South Carolina public school system. During that time, she earned a Bachelor of Arts degree from Benedict College in 1942 and a Master of Arts degree from Hampton Institute in 1946. From 1947 to 1956, she taught in the Charleston public school system. In 1956, Clark became vice president of the Charleston branch of the NAACP. That same year, the South Carolina legislature passed a law banning city or state employees from being involved with civil rights organizations. Clark refused to leave the NAACP and was fired from her teaching position. Beginning in 1954, Clark was active with the Highlander Folk School where she ran an adult literacy program. One of the participants in her workshops was Rosa Parks who, a few months after, helped to start the Montgomery Bus Boycott. In response to legislation in Southern states which required literacy and knowledge of the United States constitution in order to register to vote, Clark established “Citizenship Schools” throughout the Deep South. The program became so large that it was transferred to the Southern Christian Leadership Conference and Clark became SCLC’s director of education and teaching. Clark retired from the SCLC in 1970 and from 1974 to 1982 served on the Charleston County School Board, the first black female member. In 1979, President Jimmy Carter presented Clark a Living Legend Award. Her autobiography, “Ready from Within: Septima Clark and the Civil Rights Movement,” was published in 1986 and won the American Book Award.